Nature | Ooh, my favorite! 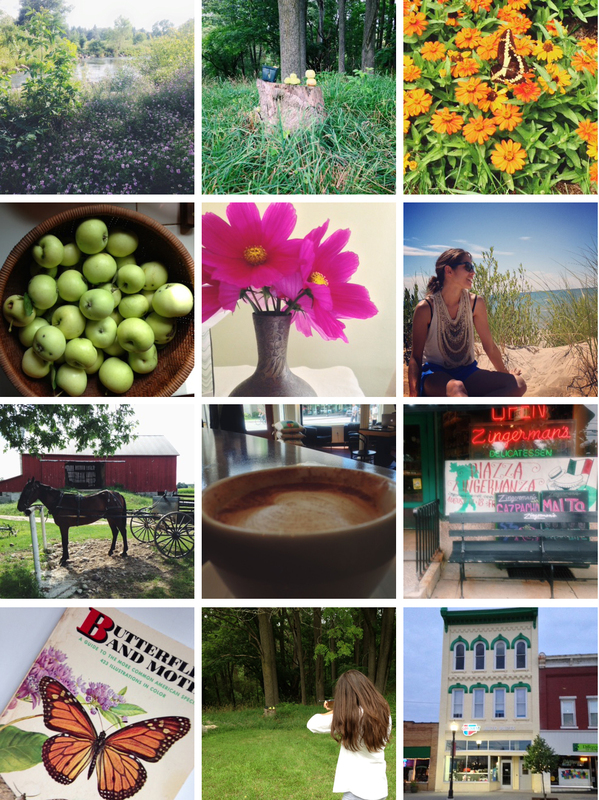 Lazy canoe rides, Red Ryder target practice, beach day, Amish spelt bread, butterflies, and flowers. Country living feels gooood! It’s now back to reality after our second annual summer holiday with Andrew’s family in Michigan. If only summer camp could last forever. 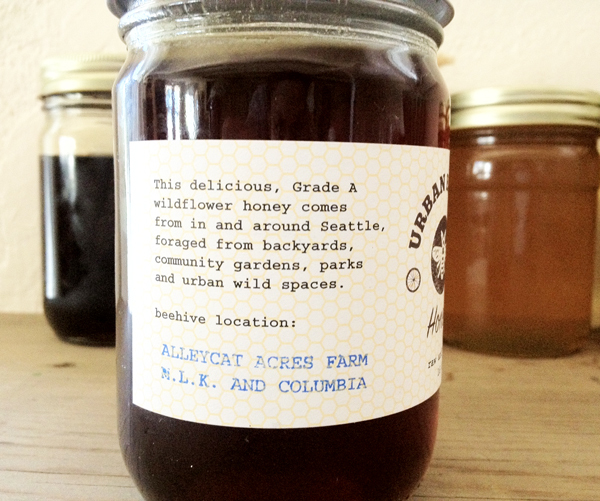 I found a great new honey to add to our collection and this one’s really cool. The Urban Bee Co. is a Seattle-based group that cultivates healthy environments for bees and collects honey from small neighborhood apiaries, urban farms, and some backyard hives too. This guy I got is from my ‘hood, right down the way on the Alleycat Acres farm on MLK and Columbia where they have hops, chickens, harvest parties, and workshops. Each hive is free from chemicals, antibiotics, high fructose corn syrup, and plastic. The honey is harvested in small batches, never heated or filtered, bottled by hand, and delivered by bike. Hyper-local! I picked up this bottle (from the fall harvest) at my very fave Sugarpill, but you can order online, or join their CSA. There are also great resources available through Urban Bee Co. and their partnership with my other neighbor Stone Soup Gardens. One of the most exciting offerings is help to set up a permaculture bee garden (wish we knew about this before we did all the research on our own). Helping our bees and building community. Great stuff. Makes my heart swell with happiness. 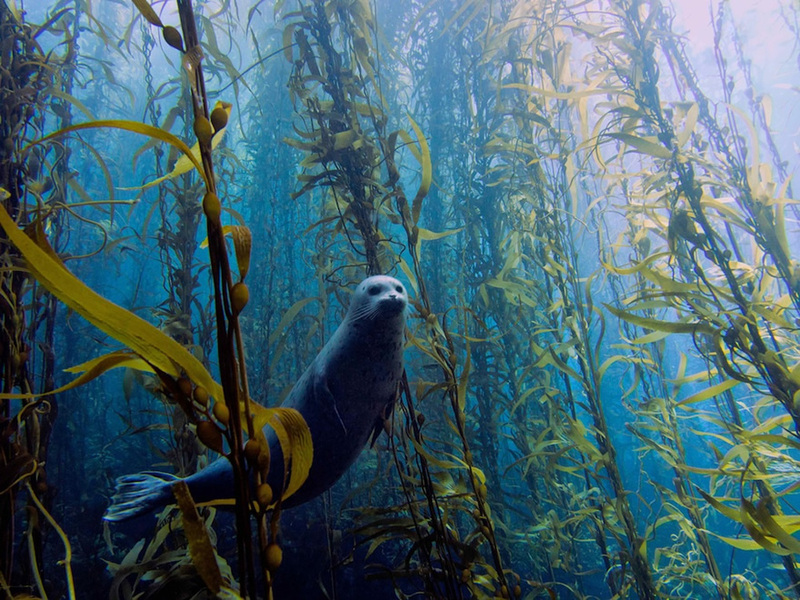 Harbor seal in a kelp forest at Cortes bank, near San Diego, CA. 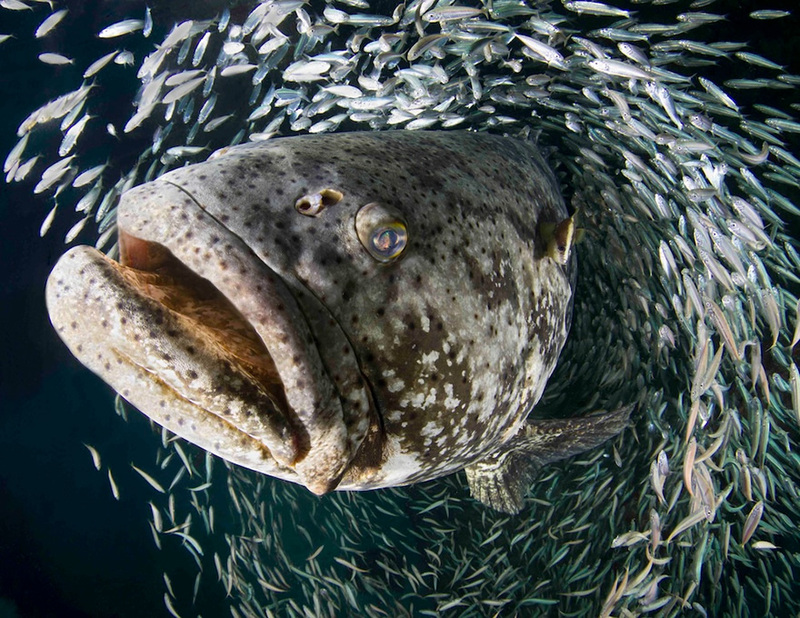 These are the winners of the University of Miami’s annual Underwater Photography Contest. The overall winner was Kyle McBurnie’s seal image above. The rest are also great, with some animal camouflage mixed in too. Things like this just make me so happy. 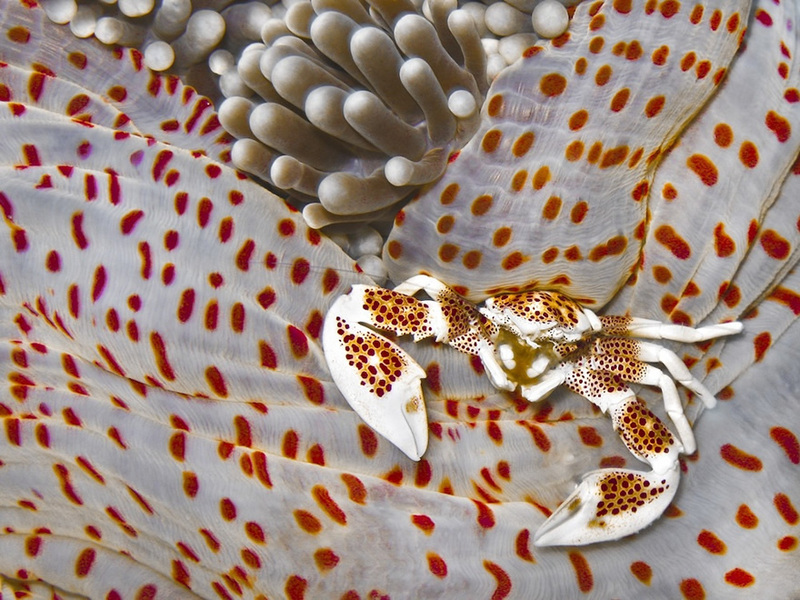 A porcelain crab on an anemone at Pescador Island, Cebu, Philippines. Goliath grouper during the annual spawning event in Jupiter, FL. 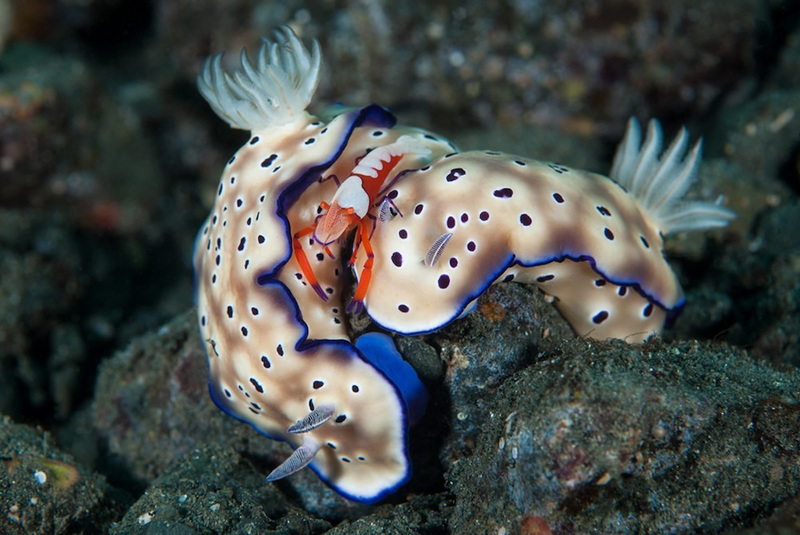 An emperor shrimp on two nudibranches at Dinah’s Beach, Papua New Guinea. How many hidden animals can you find in this image from the World Wildlife Fund? They have a great site, by the way. See if anything inspires you for Earth Day ahead. I knew the bees were struggling, but everything I’d read last year and my chats with the apiarist at the farmer’s market led me to believe, or at least, hope that they were doing better. But sadly this article from the NY Times last week confirmed what I knew was the reality. To me there is no “mystery” as to why the bees are dying; it’s pretty freaking obvious. I truly hope that forward thinking farmers and apiarists can help combat monoculture crops and their rainbow of pesticides before we lose our honey bees. For Seattle friends who want to help support our bees check out The Pollinator Pathway project and see what native and even some foreign plants can help encourage our bees. 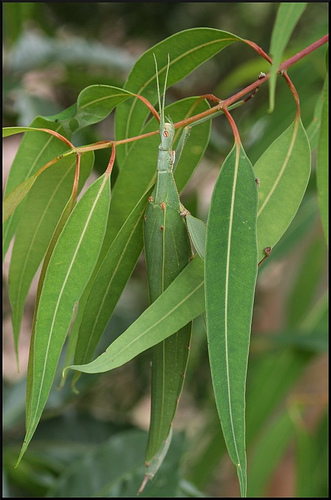 They have a great list of plants and even some garden designs that will make it even easier to get your planting strip bee ready.